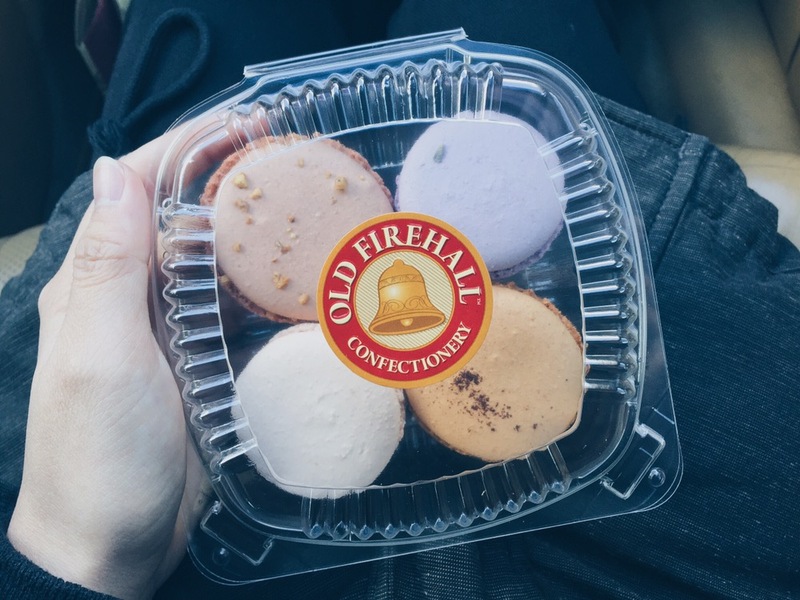 Went on a spontaneous visit to Old Firehall Confectionery! Located in Unionville, this little town looked like an entirely different area in Ontario. The architecture of the buildings and nearby houses were different, with more of a Victorian style type. Not knowing that it would be like a little town, I was really pleasantly surprised at how quaint everything was. 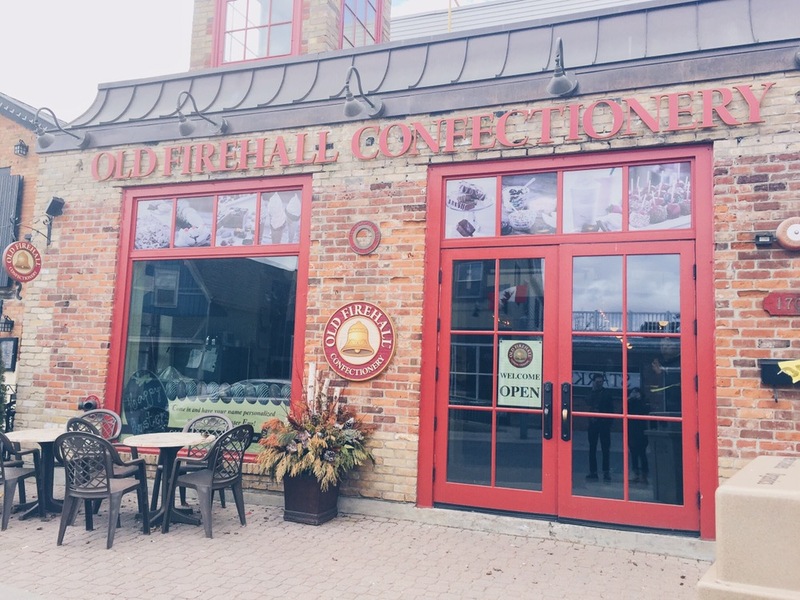 With an area of free parking nearby, we walked to the Old Firehall Confectionery. This building used to be a firehouse, which is unique spot to occupy now that it is a dessert house! 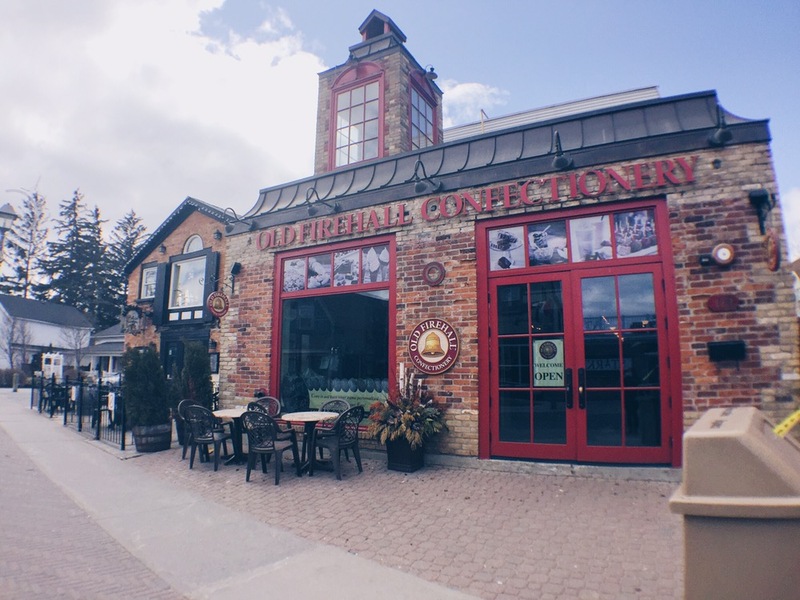 The Old Firehall Confectionery has ample space inside and they specialize in desserts. 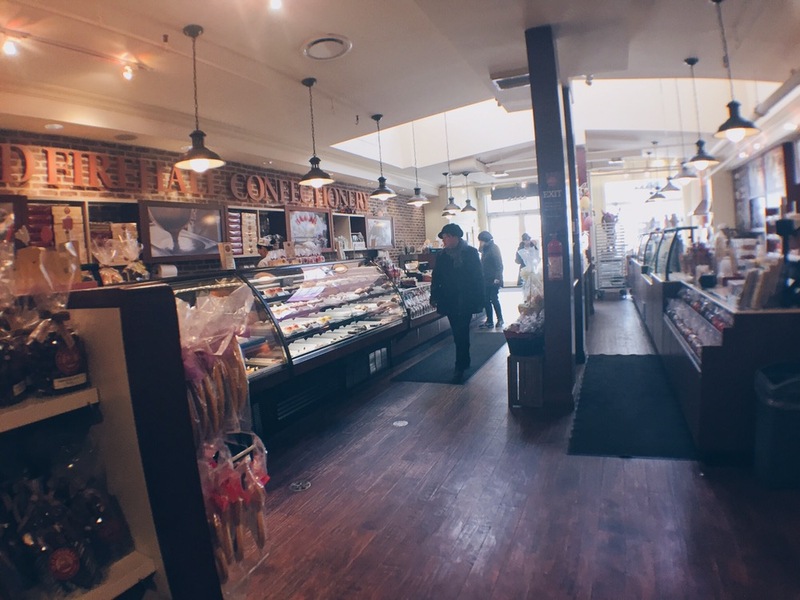 They have a huge range of candy, sweets, chocolate, truffles, chocolate barks, macarons, soft serve ice cream and waffle cones, cakes, etc. With Easter Monday coming up, they also have chocolates in the shape of bunnies and eggs which are super adorable! 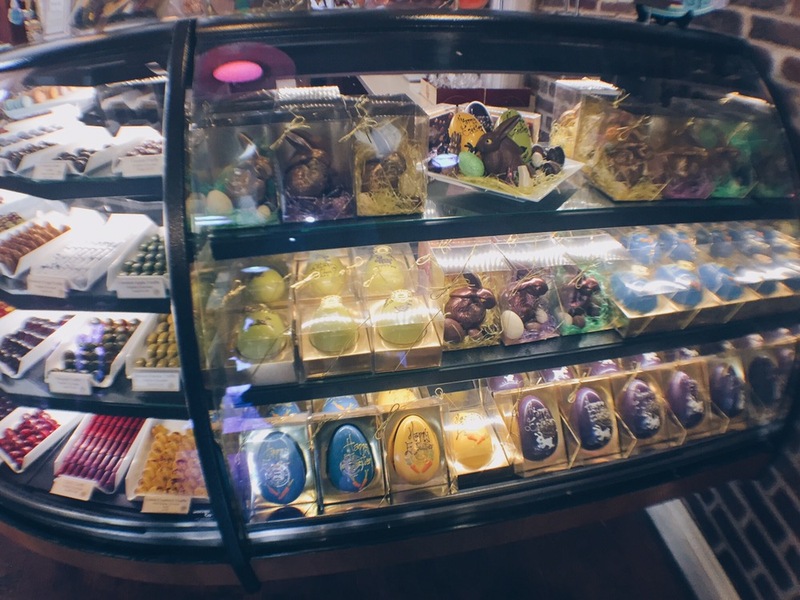 Make sure to grab some sweets here in time for Easter Monday 😉 ! Those Easter eggs are HUGE, by the way. Don’t let this photo fool you. More chocolate bunnies! Along with chocolate barks at the bottom. 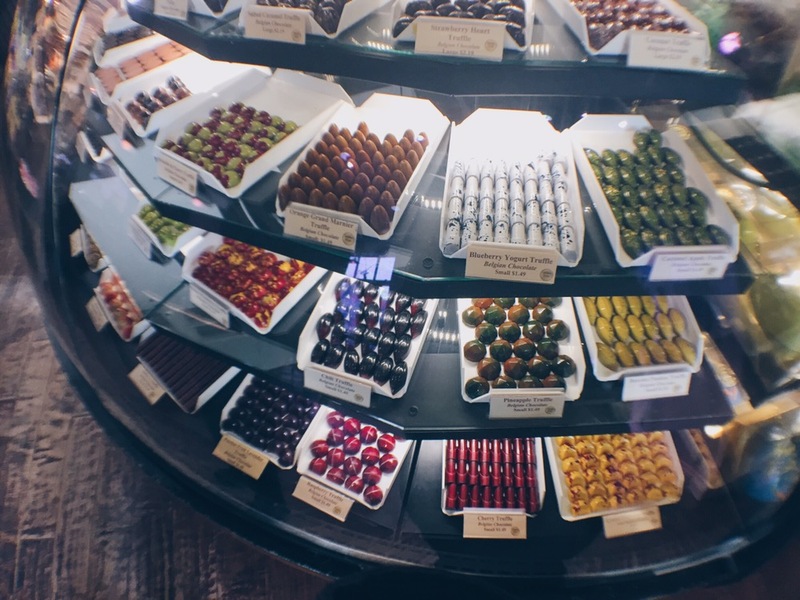 Their truffle section! 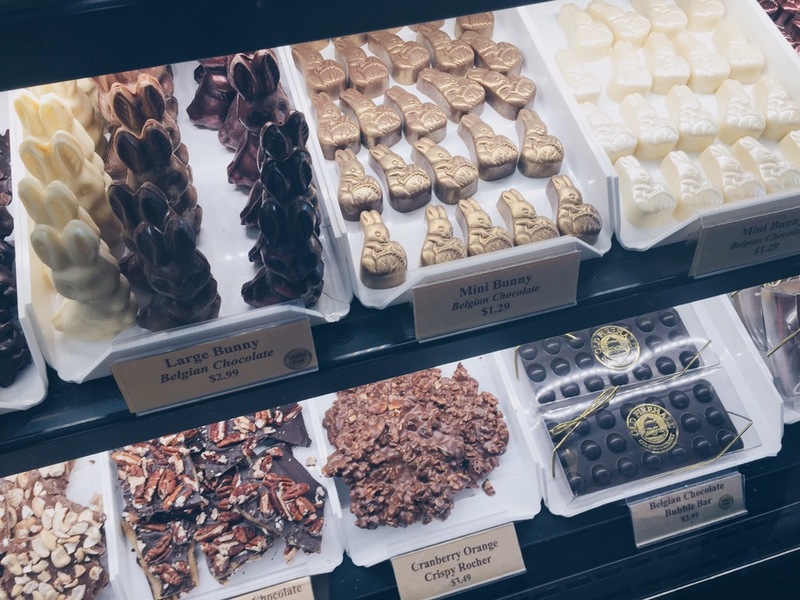 What caught my eye was the chili truffle – Imagine! 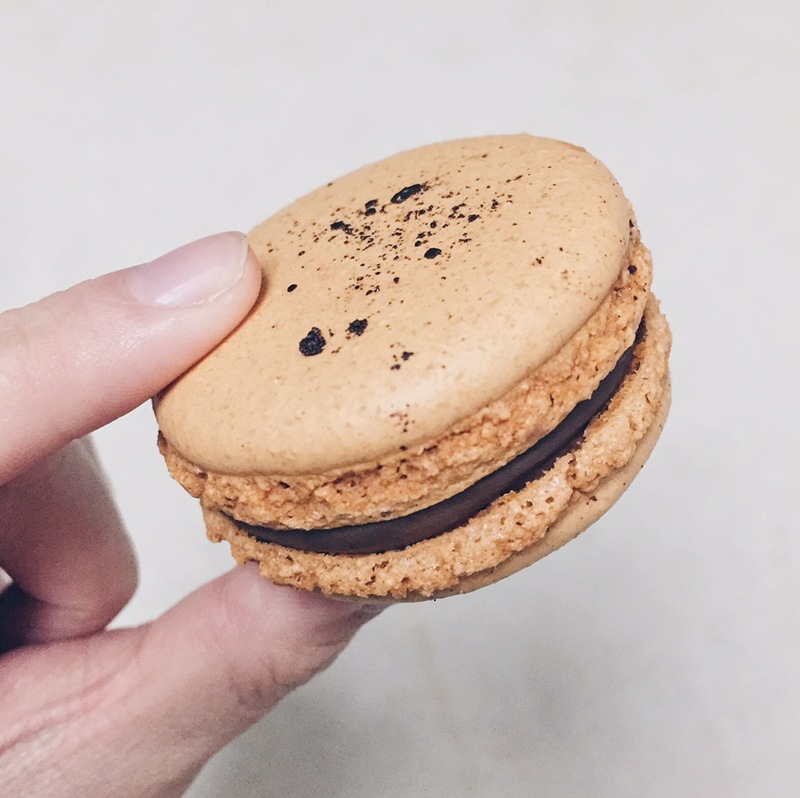 A Chili truffle… Sounds odd but I wouldn’t mind trying someday. Heehee. 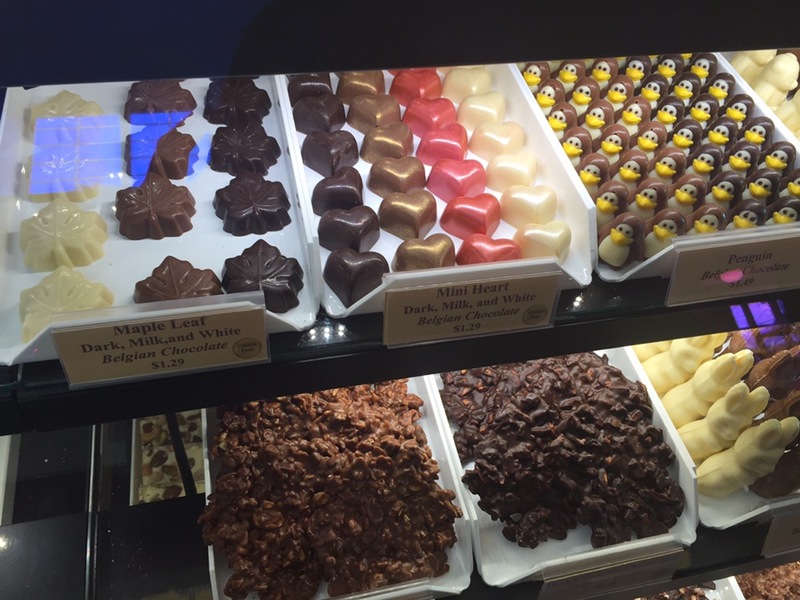 They also have chocolate in the shape of Maple Leaf – Toronto famous icon, hearts and penguins?! The penguins are so adorable and the details are so intricate. It’s amazing. 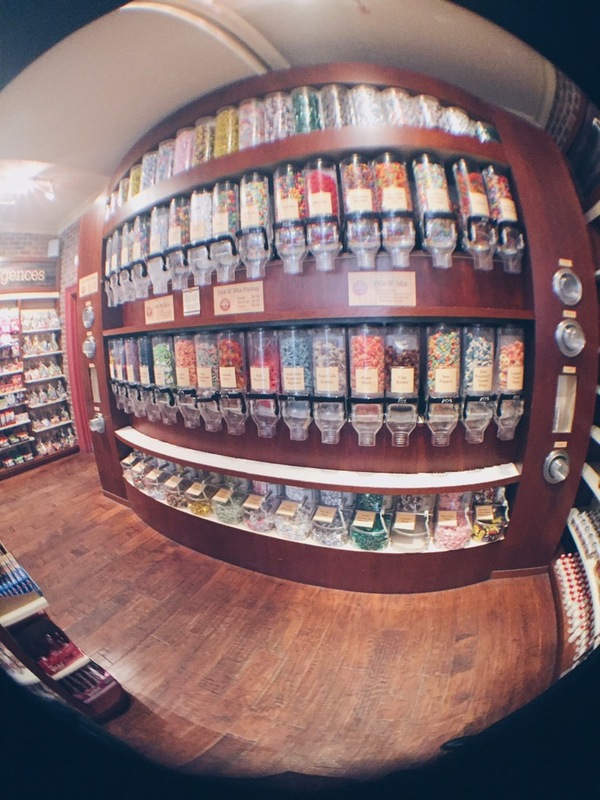 At the back of the store, they have this amazing wall of candy – which reminds me of the M&M store in New York City. There’s an empty container on the right side of this photo and you can fill it up with candies that you like from the wall. It’s super cool. I wish that my photo was slightly more clearer! 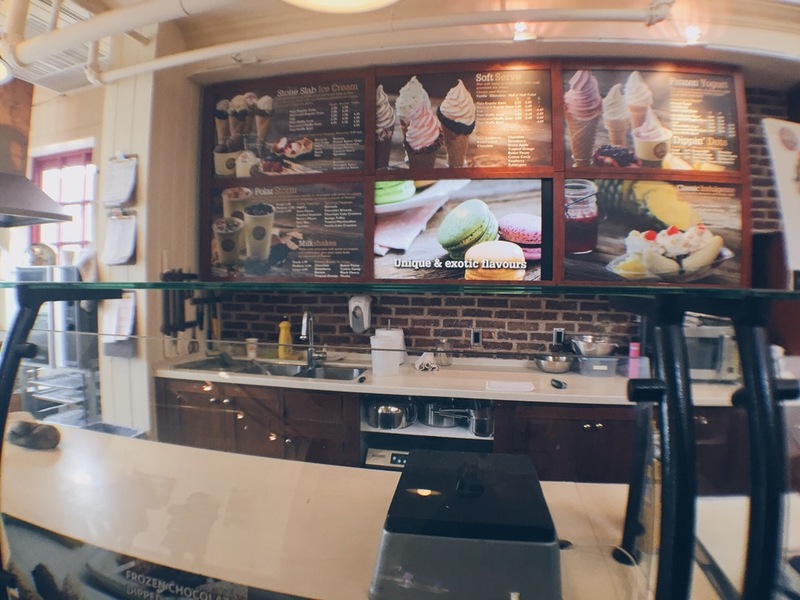 Their ice cream spot, which offers different flavours of ice cream, soft serve and waffle cones! From the reviews and news I’ve heard, they have seasonal soft serve and the ones in the summer has a line up out of the door for their ice cream. 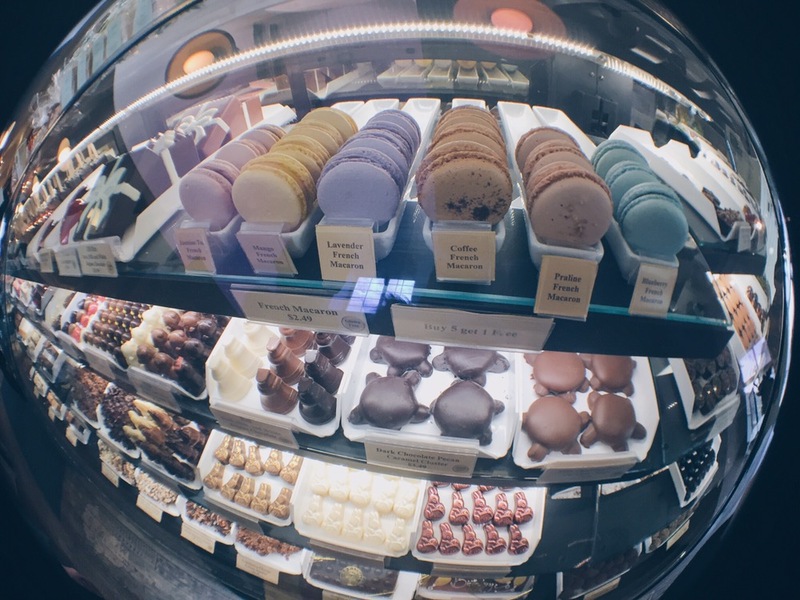 Their macaron section was what I was interested in. I was surprised they only had 6 flavours available.. was somehow expecting more. They had a pamphlet stating their macarons and I grabbed one. They had about 20 flavours so I guess each day serves different flavours. From the selection, I chose Coffee, Praline, Jasmine Tea and Lavender. 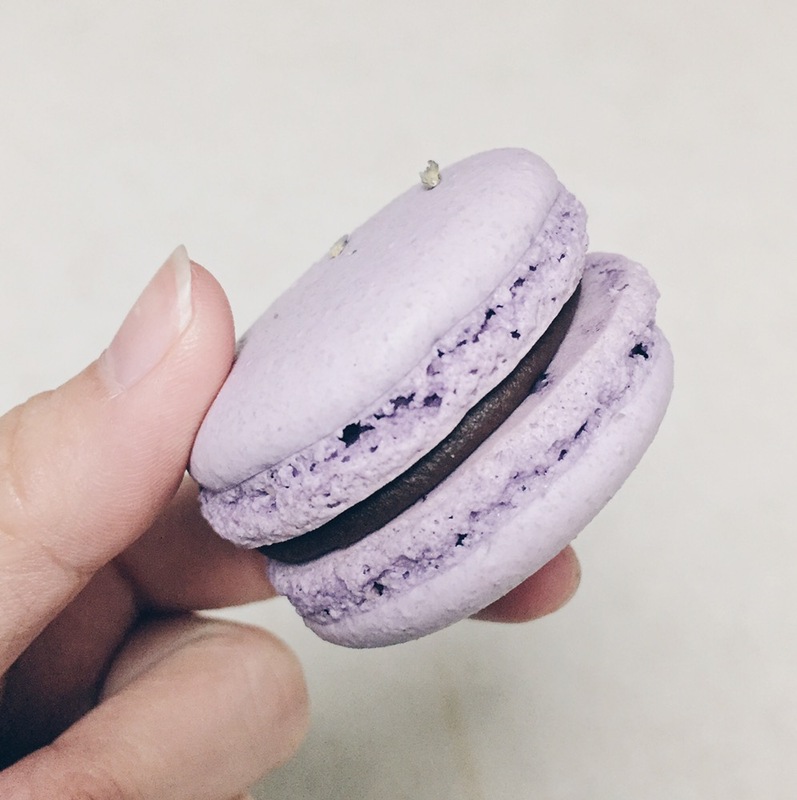 I skipped out in the Mango and Blueberry macaron flavour. The girl at the counter was really sweet and nice. Their macaron packaging is in a simple plastic casing with their logo on a sticker in the middle. Simplistic and visually appealing. 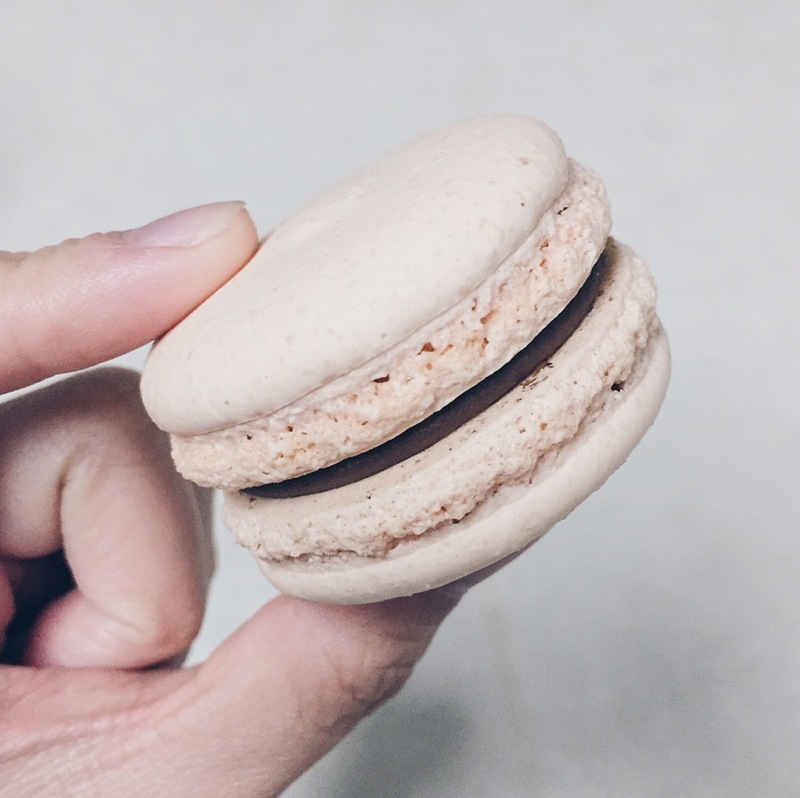 Plus easy on the workers to get the macarons for the customers instead of those packaging where you’d have to slot in macarons one by one. 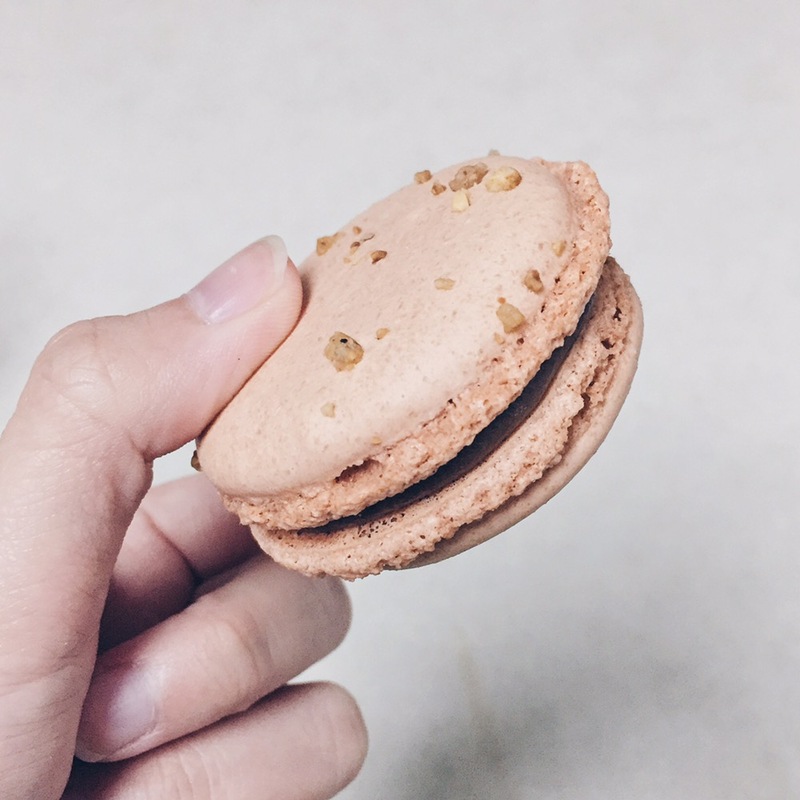 I would definitely like to come back in the spring and summer time, to try more of their macarons and perhaps their seasonal ice cream flavours that everyone has been raving about! 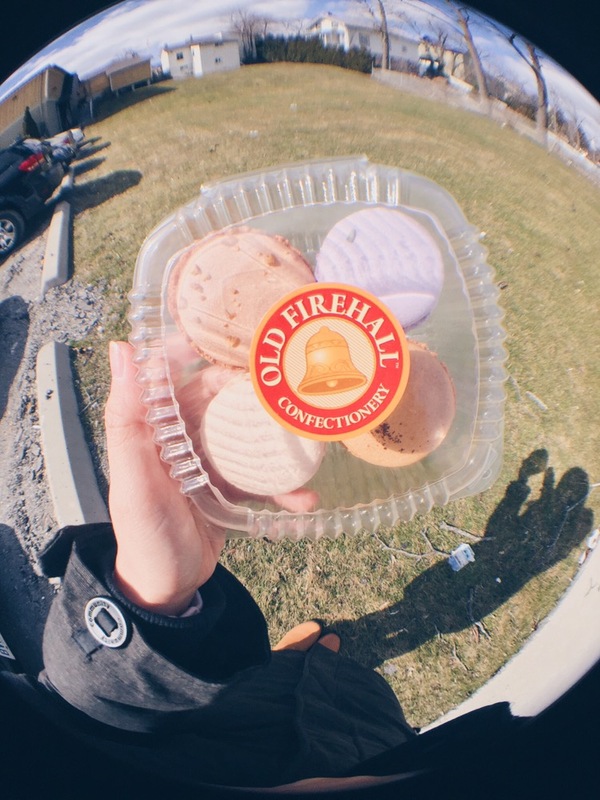 I would also come back to explore Unionville because it’s like a small town, everywhere of walk-able distance and have never been around that area except this trip to visit Old Firehall… It was too chilly to explore about this time, but I’ll be back!! !